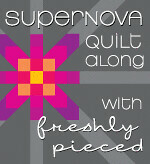 Linz Sews: Supernova Quilt a Long!! I have found a new Quilt-a-Long to join in! 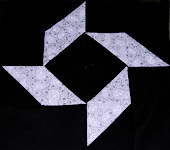 Freshly Pieced is doing an AWESOME pattern called Supernova. It is awesome! I can't wait to get started!! I have put the button on my sidebar, so if you're interested, just head on over!! 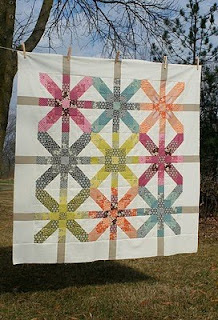 Yea for Quilt-a-longs!! First off, gorgeous quilt. Yours? REALLY? Wow. Second, did you typo your title? haha, yes. yes I did! And no, that is Lee's quilt. 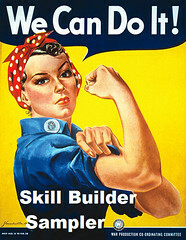 It's the one we are making! I am thrilled to make it! It's gorgeous! I'm sure yours will be equally amazing... you do great work! Go tickle my niece until she squirts that boy out!